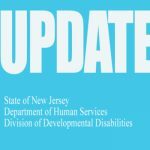 To ensure its electronic mail contact information for all users is up-to-date and correct, the NJ Division of Developmental Disabilities is undertaking a new system-wide email validation process. New functionality was introduced to our iRecord application on 11/28/2018 that will enable an Email Validation Request to be sent out every time a new email address is entered into any email field within any Division web application. Below is a screenshot of what the Email Validation Request email will look like in the user’s Inbox. The user will need to click on the “Click here to verify” link. The user will then be prompted to enter first and last name and click on the checkbox icon to submit the validation. Upon initial implementation of the functionality on 11/28, Email Validation requests were generated and sent to every email address currently entered in all Division web applications. If you received an Email Validation request from DDD IRECORD, please click on the link in the email and follow the prompt to validate your email address. For more detailed instructions, including how to proceed if you have not previously activated your DDD secure webmail, please refer to the Email Validation Process document published by the DDD IT Department.